Rick has over 20 years of experience advocating for the rights of people with disabilities. Following a stint at the Margret Chase Smith Center where he worked on a project on child poverty in Maine, he joined the P&A as an advocate focused on the rights of people confined to psychiatric facilities where they faced abuse, neglect and other violations of basic rights. As DRM's Deputy Director, Rick works on teams and projects across the agency, with a commitment to enforcing the rights of adults and children with disabilities. 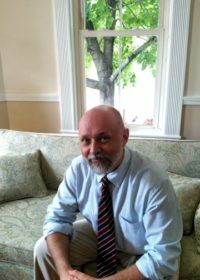 As a member of DRM’s leadership team, Rick is responsible for cross-agency work on voting rights, employment, and access to services for people with brain injuries, as well as coalition, training, and self-advocacy work regarding the Americans with Disabilities Act. Rick is a graduate of the University of Maine, where he received a degree in government and history.